With vast experience, strong heritage and global network, it's no surprise our range of specialist storage solutions has evolved to suit almost all industries. Able to fulfil even the most unique storage demands, our products can be taken off the shelf as standard, or heavily customised for more exacting requirements. From automotive, to aviation, to food & drink, to shipping and aquatic, there's no sector we haven't provided storage solutions for. Plus, with a range of additional add-ons and optional extras, you can always be confident your efficiencies are at their optimal, protection and safety are at their highest, and you are always in the know and ahead of the game in industry trends, regulations and best practice. If you're operating a 3PL company, you need optimum storage solutions to guarantee the speed, flexibility and safety of your stored products. Our automotive workshop solutions are based on our Hi280 shelving system, which integrates various storage accessories for different components into a single storage system. Work in the Food & Drink industry? You'll no doubt be under continual pressure to maximise your available space. Need a guiding hand? Whether you're manufacturing in the pharmaceutical, engineering, electrical, automotive, clothing or food industries, we can keep things flowing. If you operate a business in this sector, then you know how crucial it is to offer short delivery times, have a low error rate and provide excellent service levels without exception. 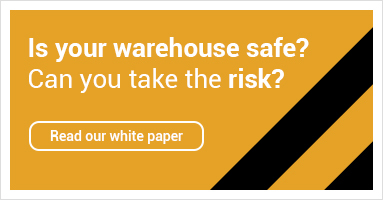 If you have various requirements for safety, traceability, hygiene and temperature, then this will often result in a demand for a custom-made storage solution. When it comes to finding the right storage solution for your garage or workshop; the determining factor is always to find a system that's economic and ergonomic. If you work in the building products industry, you'll know well the challenges. Storing a number of various-sized, often heavy products, whilst also displaying them for sale. The challenges faced by the fishing industry mean you need storage solutions that are easily adaptable, and that provide quick access in a fast-moving environment. Simple, streamlined ordering procedures; effective return routines, and a consistent and well-functioning logistics system – all essential for business success.